A flower is by nature soft, sweet and fragrant. So are we. We are tender, sensitive living beings, but due to being covered by layers of material elements we appear hard, even to ourselves. But in the depths of our hearts we are soft: we desire to love and be loved. To love is the living entity’s happiness, the very nature of the soul. The rock does not love; matter is dead energy. A corpse fails to exhibit love because the loving, living being has left the body. I want to feel love for you. I don’t want to see you or treat you as a “thing” or object to exploit and use. I want to see and treat you as you are… a person, a living being, a spirit-soul, who happens to be in a particular type of body. These bodies, like clothes, have particular names and titles, such as white, black, man, women, Christian, Hindu, young, old, etc. But we are not these bodies or bodily designations. I don’t want to see your clothes as being you, nor do I want to see my clothes as being me. I want to be friends with you. But real friendship is deeper than cocktail party friendship… it is soul to soul, person to person, living being to living being. Because we are all living beings, parts and parcels of the Supreme Being, we are all relatives in the truest sense of the word. God is our common Father, Mother, Friend and Lover. Therefore, if I love the Supreme Spirit, then that love will expand to everyone. I will experience love for all His parts and parcels. It is from this ocean of unlimited love that I desire to drink. I have tasted the sweet flavor of this nectarean ocean and crave to taste it again. I want to taste unlimited, eternal love. I am tired of living in a world of hardheartedness… not just of others, but my own also. I’m tired of living, yet being dead. I’m tired of having conversations, but never communicating. I’m tired of singing, but being without a song. I’m tired of having friends, but never knowing them. I humbly ask to be forgiven by anyone of you who may consider me to be a fool or wishful thinker for wanting to go beyond the artificial suffering world which we all know. And I invite anyone who shares this desire to taste with me the sweet flavor of Transcendental Sound and be transported to the eternal realm of Love of God, Krishna, the real friend of each of us. Thanks for your kind words Shauna! Thanks for sharing this inspirational wisdom from the ancient path of Yoga! Thanks for your kind words Radha! Beautiful, really touched my heart. Thank you 🙏💕😌. 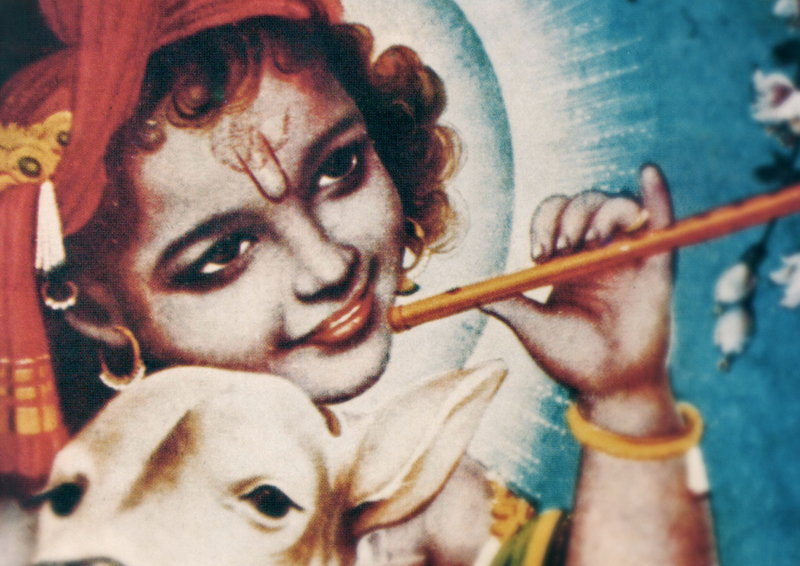 January 28, 2017Who Is Krishna?